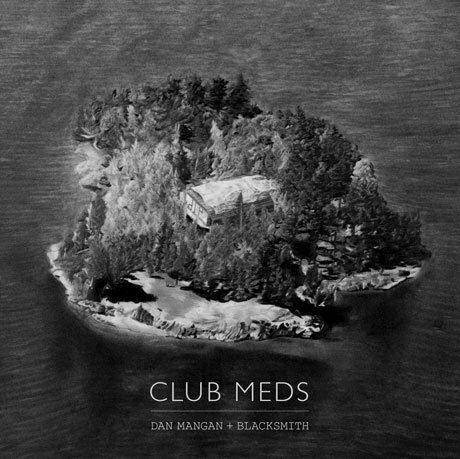 Dan Mangan + Blacksmith "Mouthpiece"
Dan Mangan and his band Blacksmith have an album called Club Meds coming out on January 13 through Arts & Crafts, and the celebrated Canadian songwriter has unleashed a new song from the collection with "Mouthpiece." The song barrels along the back of a briskly strummed acoustic guitar, which is supported by galloping drums, chiming electric licks and an undercurrent of atmospheric darkness. The real draw here is Mangan's work in the mic, since he shows off a lot of range as he delivers enigmatic lyrics while shifting between a deep croon, a raw yell and lush, solemn harmonies. Hear it below [via Spin].